Before his death, William Brennan granted Stephen Wermiel access to volumes of personal and court materials that are sealed to the public until 2017. 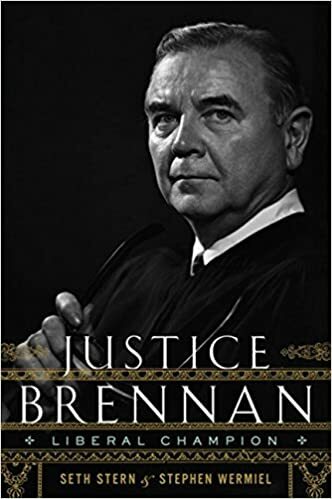 These are what Jeffrey Toobin has called “a coveted set of documents” that includes Brennan’s case histories—in which he recorded strategies behind all the major battles of the past half century, including Roe v. Wade, affirmative action, the death penalty, obscenity law, and the constitutional right to privacy—as well as more personal documents that reveal some of Brennan's curious contradictions, like his refusal to hire female clerks even as he wrote groundbreaking women’s rights decisions; his complex stance as a justice and a Catholic; and details on Brennan’s unprecedented working relationship with Chief Justice Earl Warren. Wermiel distills decades of valuable information into a seamless, riveting portrait of the man behind the Court's most liberal era.